This article was co-written with Kert Davies. When the Treasury Department announced on July 20 that it had fined ExxonMobil $2 million for violations of U.S. sanctions against Russia, there were multiple ways to view the dispute. Was it best understood as an awkward battle pitting Treasury Secretary Steven Mnuchin against Secretary of State Rex Tillerson, who was ExxonMobil’s CEO at the time of the alleged misconduct? Was the decision a case of principled career Treasury staff standing up to Exxon and Russian bad behavior in defiance of pro-fossil fuel, pro-Putin President Trump? Was Tillerson, given Exxon’s alleged defiance of U.S. law on his watch, morally qualified to be our nation’s chief diplomat? Was the Treasury action the final insult for Tillerson, who seems to have been frustrated at every turn by Trump and his own lack of effectiveness, triggering a resignation? But the most relevant context for the Treasury fine on Exxon is, in fact, the thing we’re all talking about anyway: Russiagate. As we wrote back in February, if there was, in fact, a corrupt bargain between the Trump campaign and the Russian government, or a tacit understanding, the outlines of the deal seem straightforward. Trump wanted help to win the most prestigious and potentially lucrative prize available in America: the Oval Office. What Vladimir Putin wanted most, what he has wanted desperately for several years, is also crystal clear: for the next U.S. president to lift the major sanctions that have been strangling the Russian economy. And Trump repeatedly signaled as a candidate that he might do just that. To be sure, there were reasons besides the sanctions that Putin might have wanted to help Trump win: Trump lacked Hillary Clinton’s national security and government experience and thus was potentially a weaker adversary; Trump was calling into question U.S. alliances and commitments overseas, including NATO; and Trump repeatedly expressed personal admiration for Putin. As president, Donald Trump seems, disgracefully, to have exceeded all possible expectations as to these factors. Putin also could have believed that even if Russian interference did not manage to swing the election to Trump, the email hacks and other measures could embarrass Clinton, weaken her presidency, create a sense of chaos, and give Russia new advantages. But the chance to rescue the flagging Russian economy by electing Trump and eliminating the sanctions certainly would have loomed large for the Kremlin leader. And in this regard, at this point, it seems that the whole scheme may have backfired. Trump was elected, but his presidency is in total disarray, in part under the weight of the mounting investigation of the campaign’s Russia ties. Tillerson became Secretary of State, which must have thrilled Putin, and the Russian state oil company that had signed extensive agreements with Exxon, but his influence seems to be minimal. And political pressure on Trump from Russiagate has greatly reduced the likelihood that the U.S. will relax its Russia sanctions any time soon; indeed, Congress has just forced Trump to agree to tighten them. The concept of an election help/ sanctions relief deal is reflected in the story of the crowded June 2016 Trump Tower meeting: Donald Trump Jr. jumped at the emailed offer of dirt on Hillary Clinton from the Russian government, and pulled in Trump son-in-law Jared Kushner and campaign chairman Paul Manafort. But when the Russians showed up, Trump Jr. and Kushner have each claimed, they mostly wanted to talk about “adoption.” President Trump told the New York Times that in their extra discussion at the G20, Putin also wanted to talk about adoptions, “which is interesting because it was a part of the conversation that Don had in that meeting.” Interesting, sure, because “adoptions” really meant sanctions. The Russians weren’t raising Putin’s ban on U.S. adoptions of Russian children because they care about orphans; Putin imposed the adoption ban in response to the 2012 U.S. Magnitsky Act sanctions against a group of powerful Russians who are suspected of playing a role in the death of a whistleblowing Russian lawyer. These are penalties that Putin wants lifted. But the 2012 Magnitsky sanctions were not nearly as critical for Russia’s economy, and thus for Putin, as the sanctions imposed by President Obama from March to July 2014 in response to Russia’s annexation of the Ukrainian territory of Crimea. Those Crimea sanctions, as implemented by Treasury, prohibit U.S. companies from doing business with a group of even more powerful Russians, including Igor Sechin, a close associate of Putin and the head of Rosneft, the Russian state-owned oil company. When it issued the sanctions, Treasury said that Sechin “has shown utter loyalty to Vladimir Putin - a key component to his current standing.” The sanctions also bar U.S. deals with Rosneft itself and with other Russian businesses, including Vnesheconombank, whose Putin-connected CEO met with Kushner last December at the insistence, according to Kushner, of ubiquitous Russian ambassador Sergey Kislyak. Putin’s drive to overturn the U.S. sanctions also led to the sudden departure of national security advisor Michael Flynn, less than a month after Trump’s inauguration, supposedly for misleading the White House about his multiple phone calls with Kislyak. The apparent hook for those calls was President Obama’s Dec. 29 imposition of new sanctions against Russia ― expelling 35 suspected Russian spies from the United States, penalizing Russia’s two major intelligence services, and kicking the Russians out of waterfront mansions in New York and Maryland believed to be used for intelligence operations. Obama imposed this last round of penalties in the wake of U.S. intelligence findings that Russia had aimed to tilt the election to Trump by hacking emails and spreading disinformation. Also in February, the New York Times reported that Michael Cohen, Trump’s long-time lawyer, hand-delivered to Flynn, the week before he resigned, a proposal for a Russia-Ukraine peace deal that included lifting the U.S. sanctions. The plan was endorsed by Cohen, Felix Sater, a Russian-American businessman with longstanding connections to Trump, and a Ukrainian opposition politician. It’s clear from all these episodes that the Russians have been focused like a laser on getting Donald Trump to lift or relax the U.S. sanctions. Other than the relentless Kremlin, the entity that most wants to be free of these restrictions, it seems, is ExxonMobil. In April of this year, ExxonMobil asked Treasury for a waiver of the Russia sanctions so it could proceed efforts with Rosneft to drill in the Black Sea. Treasury denied the request. On July 20, Treasury’s Office of Foreign Assets Control (OFAC) concluded that Exxon violated U.S. sanctions in May 2014 when its officials signed a series of agreements with Sechin on behalf of Rosneft. Even though the $2 million fine is a drop in the Arctic Ocean compared with Exxon’s annual revenue of some $225 billion, Exxon promptly sued Treasury, claiming that it had received guidance from Obama Administration that indicated it was legal to make a deal with Sechin acting in his official capacity for Rosneft, as opposed to acting personally. At the time of the contract signings, U.S. sanctions announced in April 2014 were already in effect against Sechin, but the broader prohibition against Rosneft wasn’t imposed until July 2014. But Treasury says the April sanctions offered no such loophole and that Exxon, in signing the deals with Sechin, “demonstrated reckless disregard” for the law. A 1988 CIA secret report, since declassified, underscores the value of the Arctic deal. According to the report, the Kara Sea, the place where Exxon and Rosneft later targeted their major offshore operations, “could become one of the major petroleum regions in the USSR early in the next century.” But the agency judged that development was unlikely without joint ventures with Western oil companies. Twenty-three years later, Exxon stepped into the very role the CIA predicted. 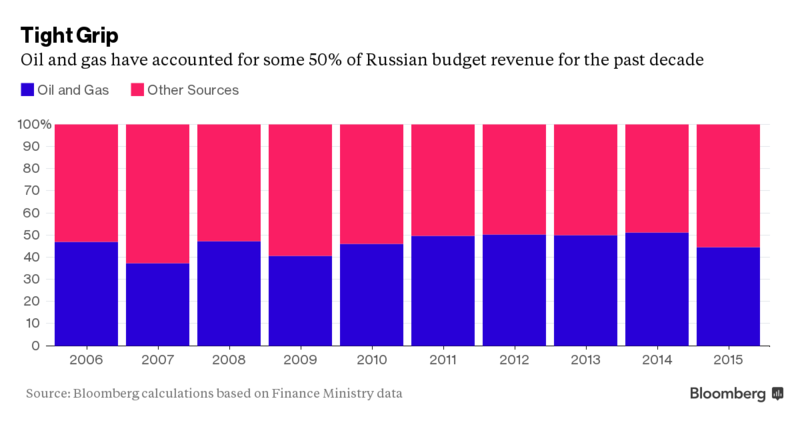 Oil and gas revenue has accounted for upwards of 70 percent of Russia’s export income and 40 to 50 percent of the Russian budget over the past decade. The Russian Arctic alone is said to hold upwards of 90 billion barrels of oil. And Rosneft has exclusive access, granted by Putin. The Rosneft deal was also crucial for Exxon’s future, allowing it to book massive reserves unavailable elsewhere on earth, before the sanctions shut it down. A glut of oil on the global market has crashed oil prices and tanked the Russian economy in the last few years. Nonetheless, Russia is now second to the United States in oil and gas production, and only the U.S. fracking boom of the past five years puts the U.S. in the lead. And in brokering the Russian deal, Exxon promised to teach Rosneft to frack, with made-in-America technology and equipment. This step would inevitably lead to a Russian glut of oil and gas production, just as the U.S. is now experiencing. That would further depress global energy prices, and make U.S. oil and gas less competitive and less profitable on the global market. The dubious “American Energy Dominance” goal set by Trump would surely be undermined. One might ask how allowing this deal to proceed would help the United States anywhere except at Exxon headquarters. But the deal has the potential to make Russia great again. While Trump and Tillerson have appeared to be at odds on a range of policy and personnel decisions since January, the one thing they have seemed to agree upon is opposition to Russia sanctions. Buttressing the idea that Trump was preparing to lift the Russia sanctions was his choice for secretary of state. Rex Tillerson had no diplomatic or government experience. Instead, he had spent 41 years at Exxon. As an Exxon executive, Tillerson got to know Putin and developed strong personal ties to Rosneft head Sechin, an ex-KGB agent; the two men enjoyed riding motorcycles together. Tillerson’s advancement to be ExxonMobil CEO was preceded by his appointment in 1998 to run Exxon Neftegas Limited, the division in charge of an Exxon-Rosneft project drilling for oil near Sakhalin Island off the Siberian coast. The project has produced hundreds of millions of barrels of oil in the last 12 years. Because it doesn’t involve new technology transfer, it has been able to proceed despite the U.S. sanctions. In 2012, Russia awarded Tillerson one of its highest honors, the Order of Friendship decoration. Despite Tillerson’s denials at his confirmation hearing, Exxon lobbied against Obama’s 2014 sanctions on Russia and Sechin. Tillerson did not know Trump prior to election day. He was, reportedly, recommended to Trump by former Secretary of State Condoleeza Rice and former Secretary of Defense Robert Gates. But those two were not merely national security heavyweights from prior administrations; they now work in the same consulting firm, whose clients include ExxonMobil. So the push to make Tillerson Secretary of State could be seen, in part, as consistent with Exxon’s own efforts to influence the Trump administration, including on the issue of the sanctions blocking the Exxon-Russia deal. Although Tillerson has been notably missing from key Trump meetings and his views often overruled, he was the only other U.S. official in the room when Trump met with Putin at the G20 meeting in Hamburg earlier this month. As president, Trump has continued to push back on pressure from all sides, including Republicans in Congress, to accept the overwhelming evidence that Russia sought to hack the U.S. election, which was the basis for the last round of Obama sanctions on Russia. Some days Trump grudgingly admits it, sort of. And other days he rebels. Last Sunday on CNN’s “State of the Union,” energetic new White House communications director Anthony Scaramucci cited the argument of an unnamed expert that if it had been the Russians who hacked the U.S. election, we never would have found out, because the Russians are so smooth at hacking. Pressed by host Jake Tapper as to the identity of the expert, Scaramucci said: It was Trump. It turned out that Trump got that talking point from Vladimir Putin. It seems clear that Trump’s resistance to blaming Russia for the hack arises in part from his obsession with proving that he won the election overwhelmingly and in legitimate fashion. But there’s also that powerful hold that Putin seems to have over him. As evidence has mounted that Russiagate is real ― that Putin sought to influence the election, that Trump campaign officials had a web of ties and meetings with Russian government officials and other powerful Russians, that Trump officials have repeatedly failed to disclose such interactions, and that Trump pressured FBI director James Comey to drop the Flynn investigation and then fired Comey when he didn’t ― Congress has been moved to commit the U.S. to the opposite course on sanctions from what Putin has sought. On Tuesday, the House of Representatives, by a vote of 419 to 3, passed legislation to tighten U.S. sanctions on Russia, as well as Iran and North Korea, and to constrain the ability of the president to soften or waive them. The Senate passed similar sanctions legislation in June, by a vote of 98 to 2, and Senate Foreign Relations Committee chairman this month backed off some previous objections to the House version. The Trump White House lobbied aggressively against the sanctions bills, in particular a provision that would require Congress to approve any steps to loosen the sanctions on Russia. Tillerson, although he committed to Senators during his confirmation process to recuse from matters relating to Exxon, had publicly argued against sanctions legislation, saying it would undercut the administration’s flexibility in making deals with Russia. ExxonMobil, as well as other energy companies, also had lobbied against these provisions, on the same grounds. According to a Wall Street Journal report: “Lobbyists for Exxon and other oil industry players have expressed dismay to lawmakers about several provisions in the legislation, including measures to prohibit partnerships with Russian individuals or companies under sanctions around the world, and to add congressional review of certain sanctions exemptions ... Exxon spokesman Alan Jeffers said the company doesn’t have a position on sanctions but has provided legislators with information about how the bill could ‘disadvantage U.S. companies compared to our non-U.S. counterparts.’” Exxon was reportedly concerned, among other things, about the fact of its joint projects with Rosneft in New Mexico and Canada. But the bill, even as modified, remains a barrier to the easing of Russia sanctions that Putin has sought, and thus, in particular, a barrier to the lucrative Exxon-Rosneft Arctic deal. Vladimir Putin, unlike Trump, could count votes, and knew that even a Trump veto would likely be overridden by Congress. So Friday morning, Putin tried a new take, implementing the retaliation he put on hold in December. Russia seized two U.S. diplomatic properties in the Moscow area ― a warehouse a collection of rustic cottages ― and ordered the U.S. to cut its staff in Russia down to 455, matching the number of Russian diplomats in the U.S. “It’s impossible to endlessly tolerate this kind of insolence toward our country,” Putin said Friday. Friday afternoon the White House announced that Trump would sign the bill, tightening the grip of the Russia sanctions ― the opposite of what candidate Trump had proposed. Still, Putin and Trump seem unlikely to stop pursuing their bromance, seemingly driven by a mutual love of autocratic government, of pressuring the media and judiciary to do their bidding, of their white nationalist fans, and of mingling their financial interests with their government power, as well as their agreed-upon liquids of choice, oil and gas. Whatever the fate of its former CEO Tillerson in the Trump government, and despite its current tiff with Treasury, ExxonMobil, along with Sechin and Rosneft, will be waiting in the wings, hoping that a new era of detente will unleash boundless new fossil fuel production and profits. Kert Davies directs the Climate Investigations Center. David Halperin, a lawyer, formerly worked at the National Security Council and the Senate Intelligence Committee. This article also appears on Republic Report.